I am wishing you all a great start in the weekend. I can't believe that I have used up all my free days and now semester is starting *cries*. At least I could concentrate and work relatively good during the last couple of days so let's hope that the following four months won't be too hectic. 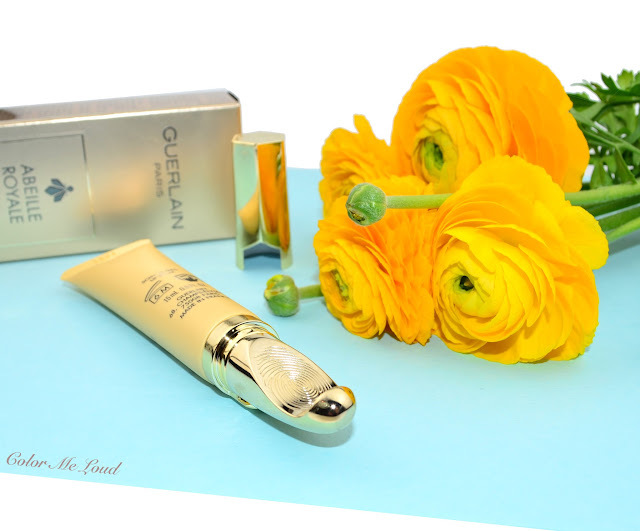 Recently Guerlain added a lip treatment product to their Abeille Royale line. For those who are not familiar with the line, it is composed of anti-aging products based on natural substances, such as bee products. Honey Smile Lift is supposed to lift, plump and make contours more defined. I tested it for you and here are my thoughts. Guerlain Abeille Royale Honey Smile Lift comes in a squeeze tube with a metal applicator which is designed to put your thumb at the back and apply the treatment product directly on the lips while massaging it by the help of the applicator which is designed to fit to the contours of your lips. I like the fact that there is a cap to that so the surface which make contact to your lips is protected in case you decide to take it with you. I haven't had a lip treatment with a metal applicator before. 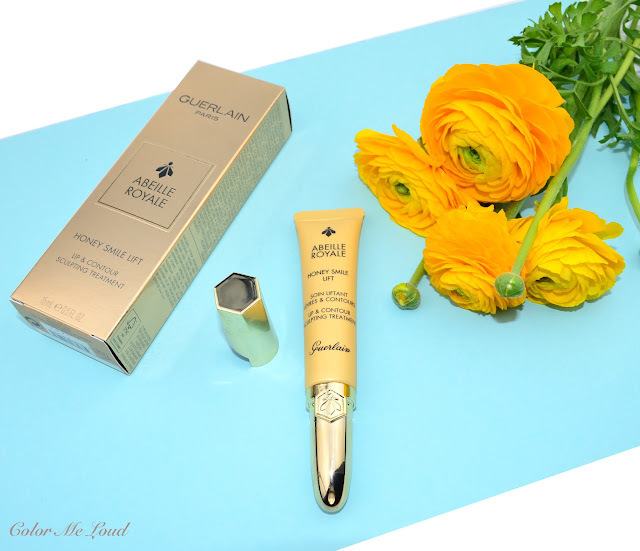 In fact the packaging of Honey Smile Lift is very similar to Guerlain Abeille Royale Eye Sculpt Serum which Linda reviewed here if you are interested. I can see this design working better for an eye serum but it feels lovely as well on the lips. The tube has 15 ml of product and is recommended to be kept for only 6 months after the purchase. The more luxury skin care I tried, I came to the conclusion that the difference between a good and a not that good skincare partly lies on the longevity of the effect. I tried many products which give a great feeling right after the application but this feeling is very short-lived. I have similar issues with eye products, I apply a good eye serum/cream at night and I still can feel the difference in the morning although it is not too heavy nor thick. I have similar feelings with Guerlain Abeille Royale Honey Smile Lift. It is not too oily nor it is very thick but once applied the effect lasts and lasts. It is hard to test the long time lifting effects but it certainly leaves the lips plumped and hydrated for hours. While I like lip oils for winter time when my lips are especially peeling, I love Abeille Royale Honey Smile Lift for keeping everything soft, smooth and groomed. I think it is not a urgency product but more something you keep on applying regularly for daily care. Honey Smile Lift is lightly perfumed. It smells like honey which is soft and not too sweet but you feel like you would like to eat it all, haha, but it doesn't taste, what a confusion it is! I took a photo of the ingredients for your reference. I like applying Guerlain Abeille Royale Honey Smile Lift at night since I believe it works best during the night but if you apply a small amount, it can be used under the make-up as well. I tried to apply it before I have done my face so it was absorbed nicely during the time I applied my make-up. After that I applied my lipstick on top. Especially great if you are going for for matte lipstick formulas. 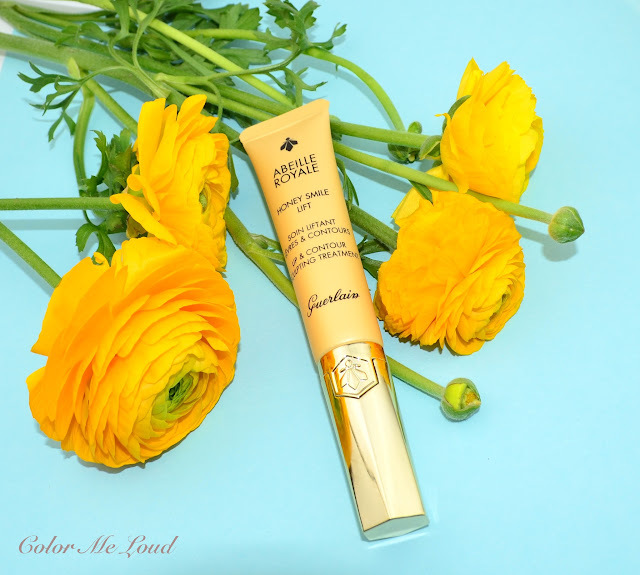 Final thoughts: The new addition to Guerlain's Abaille Royale line, Honey Smile Lift is a lovely lip treatment to plump and hydrate your lips. I love the fact that the effect lasts and lasts. Depending on how much product you apply, it can be used during the day or at night. Do you use lip treatment regularly? What is your favorite product? wow - your timing is perfect!! i just saw this online and was so curious about it! i have super dry lips and am always looking for something to try out. thanks for the review!!! I am glad it was helpful. I hope it works on you. Have you tried the Clarins Lip Oil? I can also recommend that one if you have very dry lips. I have a serum and facial oil from this line. I need to start using it. I have tried so many lip products by I thing my favorite ones are the classic Burt's Bees, Isana in a white and yellow pot, Alverde chapstick and a wonderful balm by a Polish brand Pat&Rub. You are so right about the lasting effects of skincare. The best test is to look at your skin after you cleanse it. It's not difficult to make a cream that makes your skin feels great upon application. It's much harder to maintain the effect. I know what you mean about skin care, especially eye creams! 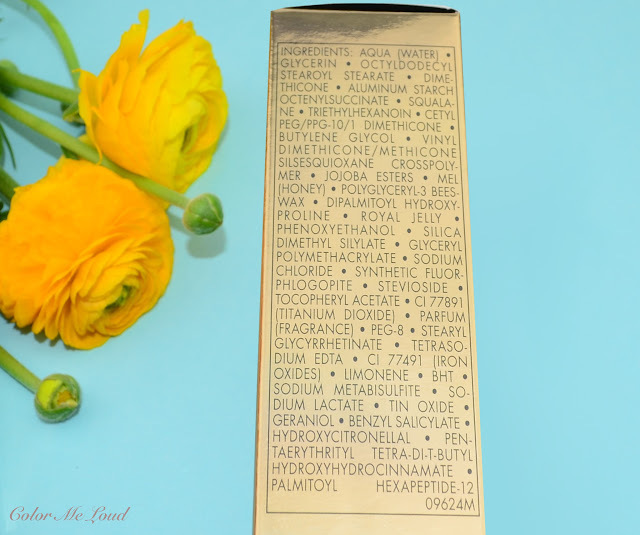 I recently splurged on Guerlain's Orchidée Impériale eye cream after testing SO MANY eye creams over the past year or so. It's so expensive but it's the only one I tried that kept my undereye area feeling hydrated the morning after I applied it. It's not super thick and doesn't necessarily feel SUPER hydrating when you put it on, but the effects last and last. Since I week I started using it around my nose. I am not so much concentrated on the lines but exactly there I have dryness. Since I massage it at nights, in the morning it feels so good. Thanks for the tip, I haven't seen that (and didn't have PR information). please use your serum as soon as possible. This line has lots of natural ingredients in there, therefore they have shorter shelf life. Exactly like you mentioned, I have so many creams and serums which feel great upon usage but in an hour (if I am lucky) it feels like as if I haven't applied anything. you mean the lip and eye cream right? I got a generous sample of that one and it worked great on me too. Also the Orchidée Impériale cream for the face works great on me. Under the eyes another product which certainly works is La Mer Illuminating Eye Gel. I apply at night, in the morning I have the same sensation as if it is just applied.